Roller shutter door forming machine is able to produce rolling fire doors, storm doors, rolling steel hurricane doors, smoke doors, air-leakage doors, counter shutters, insulated doors, rolling sound doors, insulated fire doors and other doors. 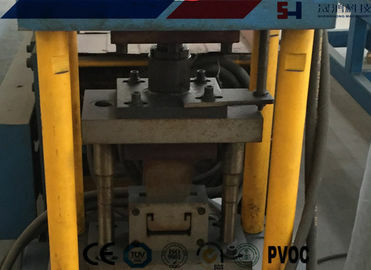 This kind of machine is provided with PU injection or without PU injection. We can customize the machine if you have special requirements. We promise our product quality is high and the price is competitive. Roller shutter forming machine is widely used for producing products used in industrial and commercial fields, retail areas, airports, hotels, institutions, malls and shopping centers. It is designed especially for manufacturing dock doors, distribution outlets, food concession stands and other panels. 1. 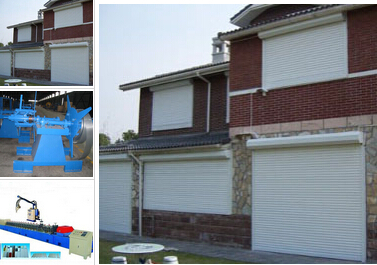 Roller shutter door forming machine is configured with domestic brand or Italy brand PU online foaming facility. 2. 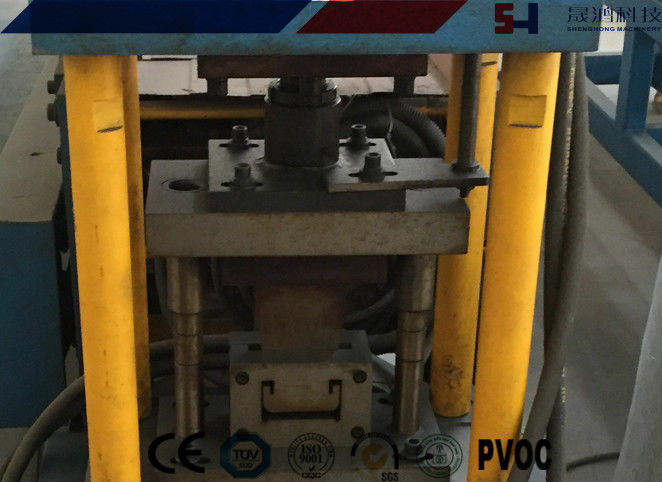 It has double head uncoiler help to increase coil loading efficiency. 3. The straightening device can be adjusted to decrease the twist or curve distortion caused in process of roll forming. 4. The sufficient rolling stations guarantee a perfect profile section. 5. 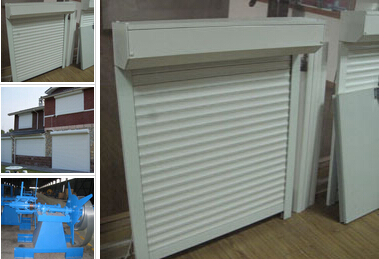 Roller shutter door forming machine adopts PLC and inverter controller. 6. Non-stop shearing adopted can increase working efficiency.